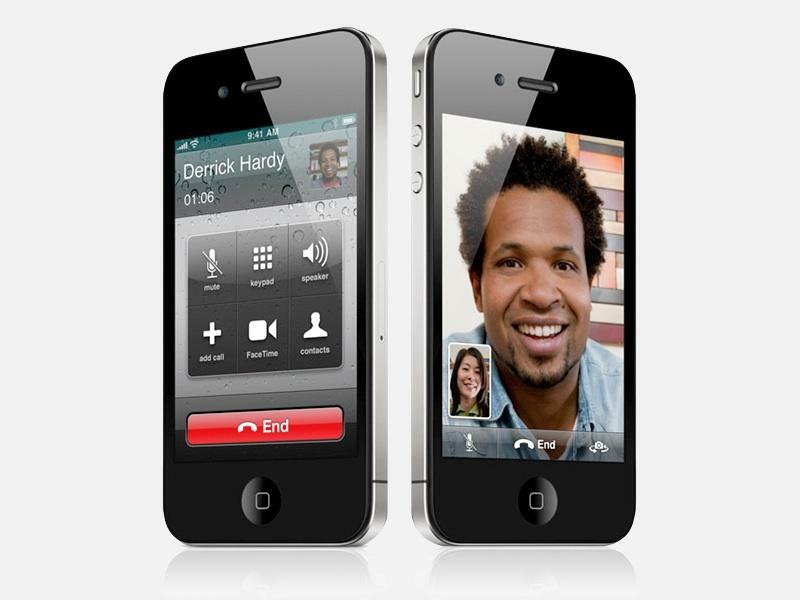 Video calling on the iPhone 4S is simple with the latest iOS 5 operating system and the introduction of Siri for voice commands. The intuitive and easy to use built-in application provides a way for you to be in two places and once and enjoy more face to face communication via your smartphone. To make video calls on the handset you use the preloaded FaceTime application which is originally placed on your Home screen ready for you to access. Simply open the app to search your contacts and where there is a FaceTime button, you can make one tap to start a video conversation with that person. You could be at a friend's house, at work or anywhere and still be able to see what someone else is doing - so you can literally be in two places at one time. Your contacts don't just have to have this handset too. They can also have any iOS 5 device including the iPhone 4 or iPad, along with a Mac computer. To make a video call even faster you can also use the impressive Siri application. This app is also preloaded onto your iPhone 4S and allows you to make voice commands to instantly access a compatible application and even perform a function in it. You can use Siri at any time by holding the Home button down and it will appear. Tell it you have a meeting and it will automatically schedule it in the Calendar app for you. Ask it whether you need a coat today and it will show you the weather. To make a video call in FaceTime with Siri, simply say "FaceTime with" and then the contact's name, and you will instantly start a video call to that person. These are just two of many new applications available on this handset, and throughout the iOS 5 operating system respectively. Others include iMessage for instant and easy messaging between the same range of devices as FaceTime (see above), and Reminders to keep on top of tasks you need to do. Both of which along with many other built in apps are compatible with Siri for voice activation and use. Normal phone calls can also be made faster with this app too. With such a stunning design and World fame as a smartphone from a respected brand, the iPhone 4S is the latest in a series of mobile phones which make life different. Making video calls with FaceTime and commanding your device to do so using Siri are the icing on the cake for what this device can achieve.